Have you taken the time to explore Dunbar recently? 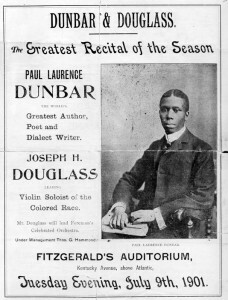 No, we’re not talking about Wright State’s Dunbar Library—although we’d encourage that also—but its namesake: Paul Laurence Dunbar, a Dayton native and one of the first nationally recognized African American poets. 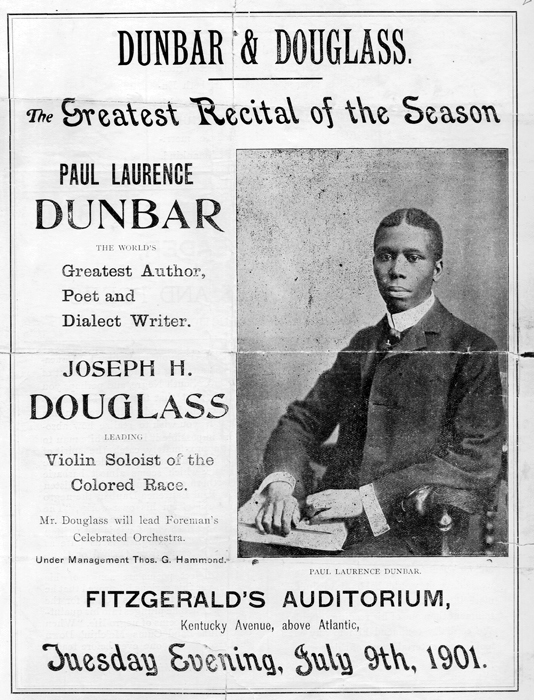 You can explore the life and writings of Paul Laurence Dunbar anytime, anywhere, through our online exhibit, which includes a biography and timeline of his life; transcriptions of all Dunbar’s poems (you can search by book or by title); a photo gallery and images of all his book covers; a selected bibliography of useful resources for Dunbar research; and more! 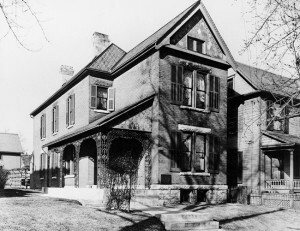 The Dunbar House, 219 N. Summit St., Dayton, where Paul died in 1906. This entry was posted in Collections and tagged Paul Laurence Dunbar. Bookmark the permalink.